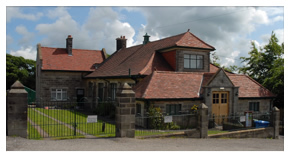 The Robinson Institute is a community hall, managed by trustees, with the primary objective of serving the communities of Glaisdale and the Esk Valley. The hall was fully refurbished in 2004-2005 and now offers first class facilities, including an attractive wooden floor, ideal for dances and exercise classes. As a result the Institute is well used by many groups/ organisations such as, Playgroup, Ballet Classes, Aerobics classes, Esk Valley Theatre, Glaisdale Parish Council, Women's Institute, Patchwork classes, Glaisdale Pantomime, Dales Folk, Bradbury Centre (Computer classes/ Techno Gym/Felt Flower classes). The Caretaker lives on site therefore the facilities are kept in immaculate condition and the hall is set out to meet your requirements. Subscribe to our newsletter and keep up to date with the latest events and news.